"Live From Here" may be drifting away from its Minnesota roots, but the national radio show found all sorts of ways to pay tribute to the state with its last Twin Cities show of the season and its first without host Chris Thile. 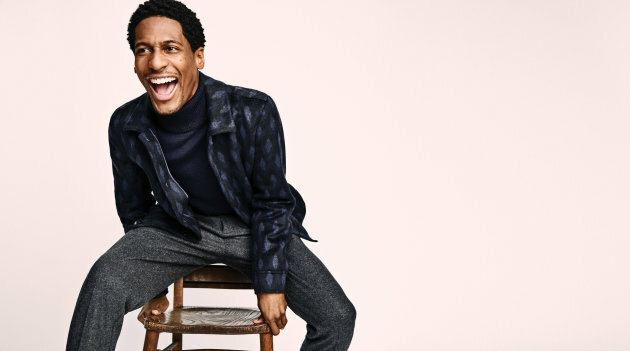 Guest host Jon Batiste, best known as the bandleader for CBS's "Late Show With Stephen Colbert," talked about how he spent time in college obsessed with Prince's "Dirty Mind" album before steaming up the Fitzgerald Theatre with a sulty, jazz version of "How Come U Don't Call Me Anymore." Head writer Tom Papa, who usually phones in his comedy bits, appeared in person to report on his adventures in St. Paul, which included a stop at nearby Mickey's Diner where "if I'm going to leave smelling like bacon, I might as well order some." Minneapolis-based guitarist Cory Wong sat in with the band and got more than one chance to solo. Comedian Jackie Kashian, who got her start at Acme Comedy Co., did a routine about the Iron Range's obsession with snowmobiles. Rachael Price of Lake Street Dive, a band named for Minneapolis bars, dazzled throughout the evening with covers of Stevie Wonder's "Knock Me Off My Feet" (performed before the national public-radio broadcast began) and Cheryl Lynn's "Got To Be Real." Even the "theatre players" got into the theme with a skit about a weatherman at KARE-11 who insists on doing his forecast in Shakespearean verse. Other memorable moments from Saturday's show included fast-rising star Emily King's performance of her new single, "Can't Hold Me" and an all-star jam on Quincy Jones' "I'll Be Good To You." But the real star here was Batiste, who showed that he was just as enthusiastic and musically versatile as Thile, as the host was away performing with his group, The Punch Brothers. Batiste rapped, crooned and vamped in ways TV viewers rarely get to see. Most impressively, he showed off his piano chops, tackling everything from Bach to Nat King Cole. A mandolin was on display at the front of the stage throughout the show as a nod to Thile, but he wasn't as missed as fans might have expected.